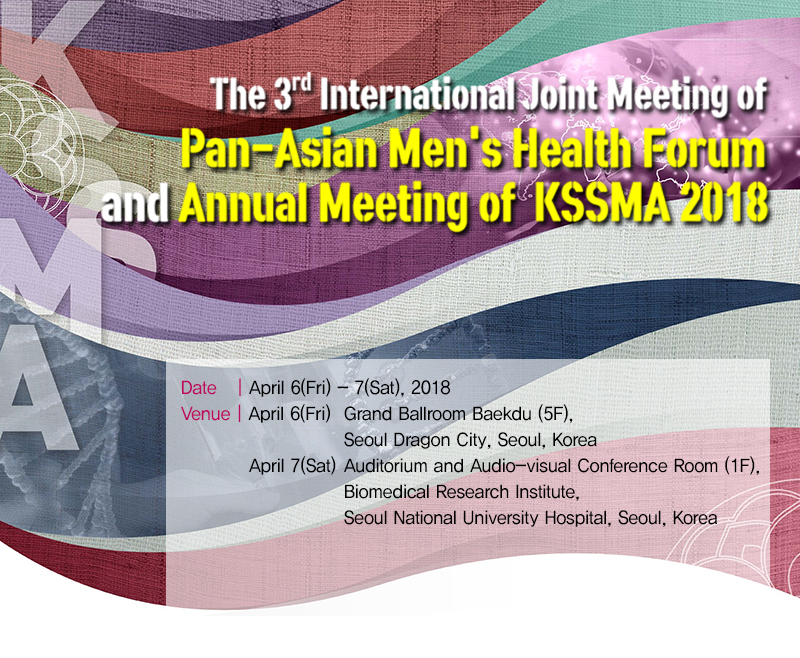 Dear Sir, the 3rd International Joint Meeting of Pan-Asian Men's Health Forum and Annual Meeting of KSSMA 2018 in Seoul. Korean Sosiety for Sexual Medicine and Andrology(KSSMA) is tryng to increase foreign guest. If your Urologist, fellow, resident, researcher, or student who can visit Seoul with you, KSSMA will prepare a hotel room and registration. And if he or she can present an abstract(s), he or she will have high chance to get 500USD for foreign abstract winner.